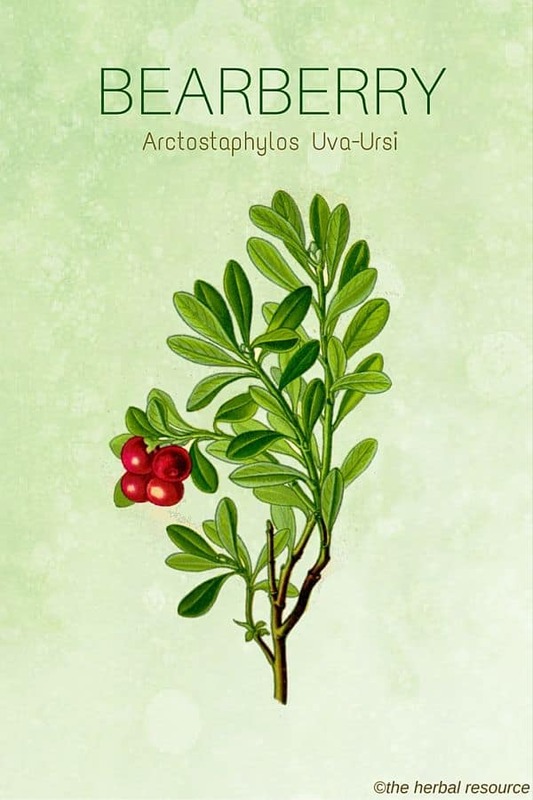 Other Common Names: Uva ursi, hogberry, manzanita, kinnikinnik, rockberry, beargrape. Habitat: Bearberry is well suited to sub-Arctic zones, and may be found at those latitudes worldwide. It is particularly common in Central and Northern Europe, but may also be found growing in the wild in North America as well as isolated instances in more southerly regions at high elevations. Description: Uva ursi is any one of a variety of low-profile bushes that grow to the height of around 20 cm. The plant has a thick bark and leathery oval leaves that are about 1.5 cm in length. The bark is usually covered in fine, silky hairs. The flowers are either pink or white and have five distinct petals, each one less than a cm in length. It grows a red fruit that is often confused with a relative, the American cranberry. Plant Parts Used: Leaves and stems, flowers in season. Some Native American tribes used an infusion of the stems of bearberry and blueberry as a way to prevent miscarriage, and aid a woman’s recovery after childbirth. The leaves of uva ursi contain a very powerful and recognized antibacterial chemical compound known as hydroquinones. This is a scientifically proven compound, but its use is questioned by the US Food and Drug Administration, and the plant is not sanctioned for medical use in the United States. A tea made from a decoction of dried bearberry leaves is a traditional treatment for urinary tract infections in many parts of the world. Ingesting bearberry tea works best if the patient is on a vegetable-based diet. It has been clinically shown to be more effective when the urine is alkaline in nature. The uva ursi leaves may be smoked to relieve a headache. This form of use is illegal or carefully regulated in many regions, due to the narcotic effect of the plant. A partially dehydrated decoction made from bearberry may be applied as a salve to canker sores, sore gums, burns, and minor cuts. 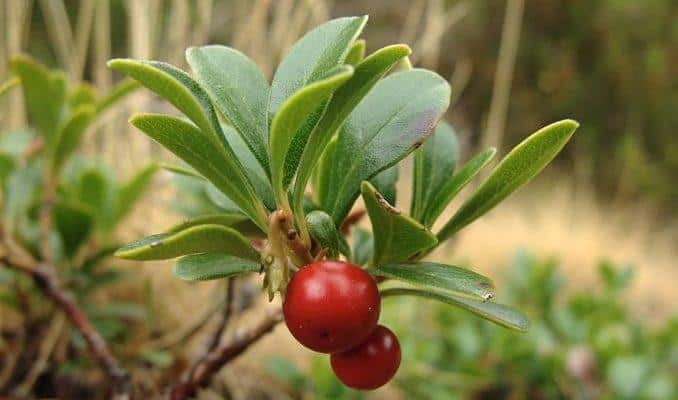 The folk remedies of many cultures suggest bearberry as an effective treatment for a backache, rheumatism, and arthritis. It is used as a disinfectant in some regions, perhaps due to its known attributes as a urinary antiseptic. Commonly an infusion is made by soaking the leaves in hot oil or a tincture in an ethanol solution. Internal treatments should be kept to a maximum of 2-3 doses per day, and reduced or discontinued if adverse symptoms occur. Poultices and ointments may be applied as necessary, generally several times a day. One of the active ingredients in bearberry is a chemical known as hydroquinone. It is a toxic chemical and should be taken with care. Short-term side effects may include mild nausea or dizziness. Long-term use is not recommended without the supervision of a physician or trained herbal practitioner.